Get off your trainers and pull out your gravel-grinding machine of choice! This is a rain or shine bicycle ride on gravel roads through Shawnee State Forest on Sunday, February 9. Date and Time: February 9, at 10AM. Ride Start Location: Click here. 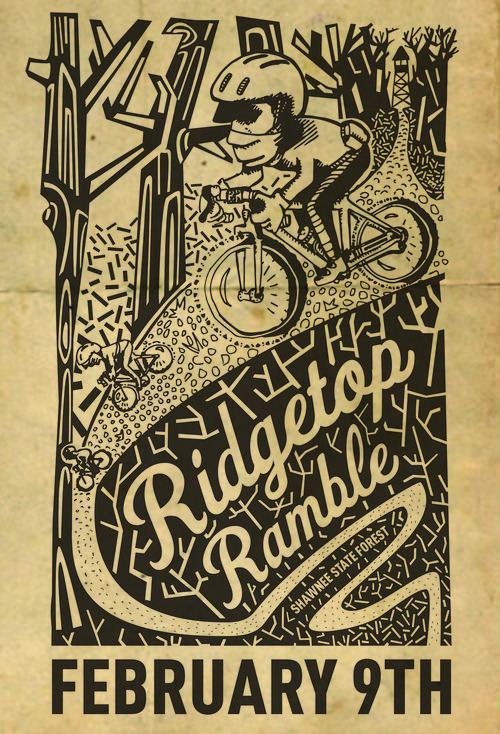 We have two route options in store for this year’s Ridgetop Ramble, so whether you are in the mood for an all day adventure with challenging terrain and elevation, or simply a tour on the premier gravel and paved roads throughout the park, there is something for everyone. Don’t be fooled, Shawnee State Forest is not your stereotypical “Ohio plain land,” all riders should come prepared with their climbing, descending, bike handling skills, and enough endurance for 4-7 hours on the bike. Advanced Route: This is a 62-mile route with 7,200 ft of climbing. The terrain consists of gravel roads, bridle trails, double-track, and paved roads. GPS Link: Click here (is subject to change). Intermediate Route: This is a 42-mile route with 4,500 ft of climbing. The terrain consists of gravel and paved roads. GPS Link: Click here(is subject to change). 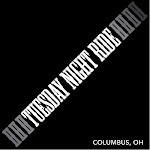 This is a “choose your own adventure” ride organized to bring together a group of like-minded cyclists to ride some of the most beautiful and challenging terrain in Ohio. Everyone willing to take on the journey will be given a map and a cue sheet. We encourage folks to participate in any way they would like, whether that is riding with the group, or tackling the ride with a friend. The adventure lies within the challenge of navigating the route, conquering the terrain and supporting yourself with the supplies you need to complete the ride. *Note to riders: This is a self-supported ride, meaning we are not providing any sag or support. You will be responsible for anything that may happen to you or your bike on the ride. It is also up to you to complete the ride whether you can keep up with a group or have to ride by yourself. If this makes you nervous, consider visiting some of our self-sufficient rider courses (starting January 26!) and train up for our next ride! There are also no opportunities to refuel on food and water along these routes. There is also very limited cell service and GPS is sometimes unreliable. Focus on your map, ride within you limits, and be safe! While this is a free opportunity to ride, we will require that every rider wears a helmet, and fill out some basic emergency contact info. Rental Demo Program: We have a selection of Salsa and Surly bicycles available for rent for this event. Call the shop today to make your reservation! 513-MUD-BIKE (683-2453).